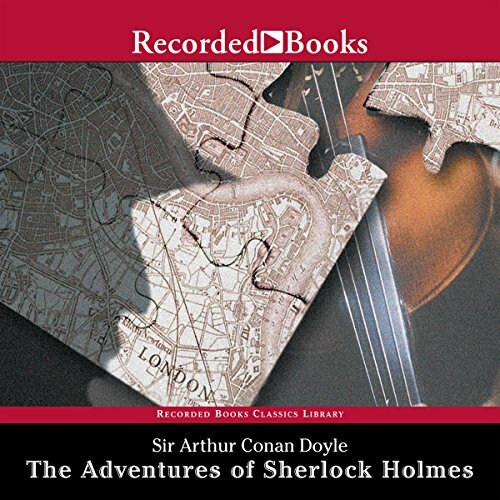 Where does The Adventures of Sherlock Holmes rank among all the audiobooks you’ve listened to so far? In the top thirty percent, easily. Well written, varied, and great performance from Patrick Tull, as always. Have you listened to any of Patrick Tull’s other performances before? How does this one compare? Patrick Tull rates at the top of my list of narrators, hands down. His performance from the Master and Commander series will be the standard by which I measure all other writer/ narrator combinations. Patrick Tull brings each character to life as only he can. The way it was broken up into stories makes it easy to listen to a story, take a break, and start afresh when schedule permits. Worth the purchase and a fun ride. Fans of Holmes will not be disappointed. I'm so sad it is over! What did you love best about The Adventures of Sherlock Holmes? This book, after more than a century, still reveals how paramount is to observe and deduce facts from apparently small and insignificant things. What about Patrick Tull’s performance did you like? If you could take any character from The Adventures of Sherlock Holmes out to dinner, who would it be and why? ACD is a master of the short story. Adventures of Sherlock Holmes has very few duds. It is clear that not only was Doyle breaking new ground, but he absolutely pwned the form (and would for the next century). It is rare to find a literary work that sold so well initially (the Strand sold Holmes like crazy) and still appears relevant and popular today (from TV shows like Sherlock to Bones). That is the brilliance of Doyle's detective stories: they are universal, they are timeless, and they are -- elementary.